Over the past few weekends, Kimi Raikkonen has really given Fernando Alonso and Renault something to think about, with three dominant performances on three very different tracks. In Imola, a CV joint failure proved costly, but in Spain and Monaco, all went to plan, and slowly but surely, the points margin is being eroded. However, his victory in the principality wasn't quite handed to him on a plate. On Thursday, the McLaren drivers were not entirely confident with their brakes, but that was clearly solved by Saturday when Raikkonen stormed to provisional pole. But he cut things a little fine on Sunday morning when he only just managed to stay ahead of Alonso with a race fuel load that was almost too optimistic. All went well at the start and in the early laps of the race, as the Finn gradually dropped Alonso. It took Christijan Albers' spin and the traffic jam at Mirabeau to give Raikkonen, Ron Dennis and the rest of the McLaren crew a little unwanted stress. A safety car arrived at the lap 25 mark, just in time to fit neatly with the fuel windows of those planning either one or two stops. In a situation like that at Monaco, the leader always has the hardest decision to make, not only because it's all too easy to get it wrong and look silly. By definition you are first on the track, which means two things: everyone can react to what you do or don't do, and you obviously have less time to do your calculations and make a call, simply because you are ahead and will get to the pit entry first. Those seconds can make a difference. An interesting aspect of the McLaren system is that a contribution to the decision making process is made by two blokes sitting in the factory watching ITV's F1 coverage and data piped from the circuit. It's not unusual for top teams to have help from back home - most have people number-crunching and poring over engine data - but it's unknown whether other teams actually have guys who offer strategic advice in real time to the pit wall. "We have a couple of guys in Woking who come in over the weekend," says technical director Adrian Newey. "They make strategic recommendations to help us on the pit wall. It's not their fulltime job, they basically work in the simulation department on other areas during the week, but that's their weekend job. They watch ITV, and we have noticed at times that things are spotted on television, by someone like Martin Brundle, that we haven't spotted for ourselves. "It's very useful because one of the dangers of the pitlane is that it's such a noisy, crowded environment, and sometimes it's difficult to think straight. Being in a quiet room is so much easier, and communications are easier. We still make decisions at the track, but they make recommendations, which we may or may not chose to take note of. Ultimately if it's on Kimi's car, it's Ron [who makes the final call], and if it's Juan Pablo's car, it's Ron and myself." It's an interesting system, but Adrian says it works: "You don't want to have too much of a committee that's slow to react, and equally if you're putting people in charge of things, and they became the specialist, it can be a little bit arrogant to then say 'we're going to do that job ourselves'. The fact of the matter is that Ron and myself, when it comes to strategy during a race, are really Sunday afternoon heroes. The other guys do their job. I think it helps just to have people who are not distracted by the noise and everything else that's going on." Ultimately Kimi stayed out on track, and the team then watched with no little interest as both Renaults and both Williamses came in. The latter pair spent less time at rest and it was apparent that they were on two-stoppers, but unexpectedly the Renaults appeared to take on enough to get to the flag. McLaren CEO Martin Whitmarsh confirms that there was some confusion, created in part by the fact that no sooner did the FIA signal for a safety car than the mess cleared up and it became redundant. However, it was too late to cancel its deployment. 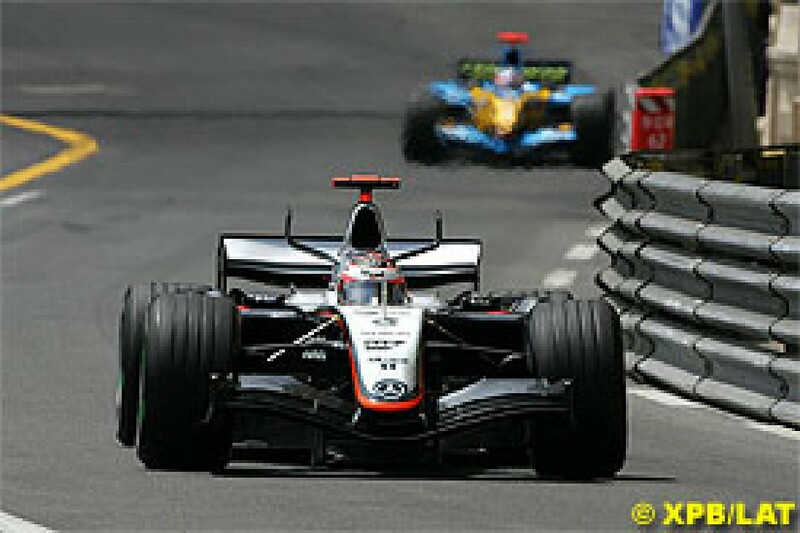 There was the added problem that radio transmissions around Monaco are not always crystal clear. 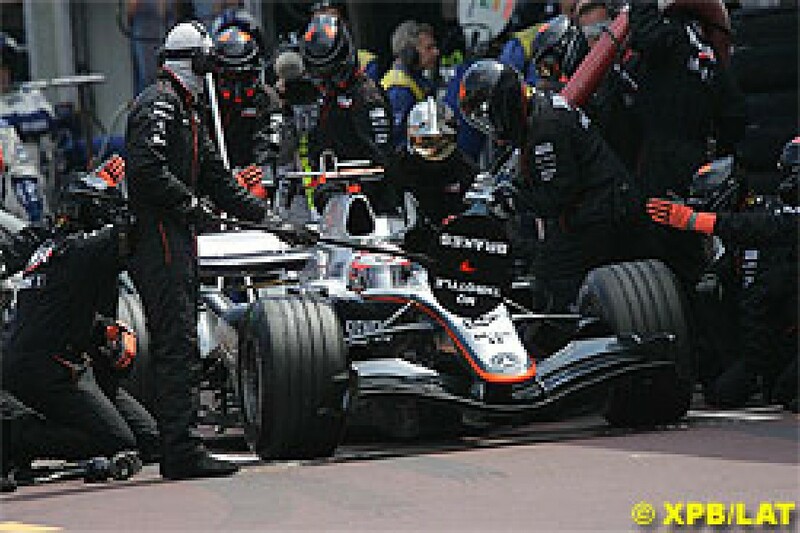 An extra handicap is that at Monaco the management sit behind the pit buildings and thus don't have a direct view of the pitlane - usually they just have to turn round to see other crews preparing to receive cars, something that clearly has an influence on any decisions. "There were some doubts at the time," admits Whitmarsh. "But we believed in the approach we took. The safety car was signalled on the screen, then it was taken off the screen, then it was back on again. 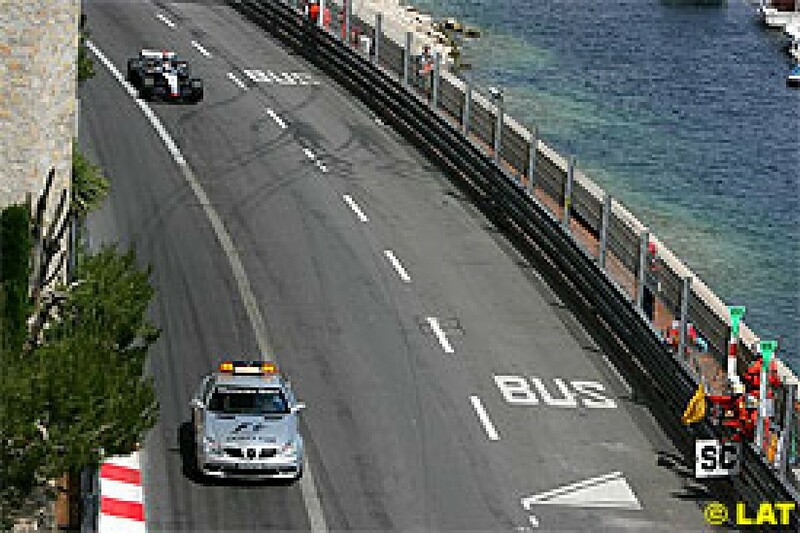 So the poor old driver was being told safety car, no safety car, then safety car." "When we radioed [Kimi] he didn't really hear the radio," says Newey. "And that was part of the problem. So then he wasn't sure if we'd asked him to stay out or come in or whatever. I'd rather not say what we told him to do, but he couldn't hear on the radio, so he had to stay out..."
Newey won't elaborate, but in the post-race press conference Raikkonen revealed that he had in fact got a message to come in. Unfortunately he finally heard it just after he passed the pit entry and had to tell the team it was too late, in what was presumably rather colourful language. However, Ron Dennis, who was a little annoyed that the celebrating Raikkonen had let that piece of information slip, denies that things panned out that way: "What happened is the first read on the data was stay out. There was confusion at one stage, because there was an initial thought that the safety car had been deployed, but then it didn't get deployed. "And by the time it was deployed we got a confirmation from our strategists that the right strategy was to stay out. At the end of the day there was frustration for Kimi because we told him, 'Stay out, we'll get back to you,' which of course is very frustrating, because you don't know what's going on. "There were several calls made as the circumstances changed, but it was a disciplined call that had a degree of confusion because of the ability for us to determine whether the safety car was out or not." To be fair, all this was happening in a matter of seconds, but certainly the initial impression was that McLaren might have got things wrong. As the order settled down behind the safety car, Raikkonen was still safely in front, ahead of the lapped Michael Schumacher and Albers, and Jarno Trulli, the only other top runner not to stop. 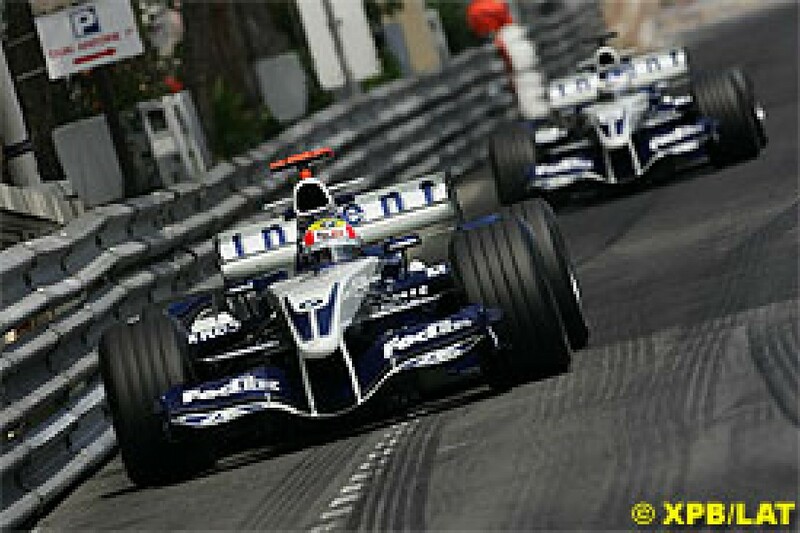 But immediately behind the Toyota were Alonso and Mark Webber. Raikkonen could see those guys in his mirrors and must have wondered what the hell was going on. He knew they had both stopped, but had either or both got the fuel to go to the end while he had still to stop? The safety car period dragged out, the only reason being to allow everyone to join the queue. The problem was that some drivers were trying to save fuel and were therefore not too keen to catch it up. That period of dead time gave both Kimi and his crew ample opportunity to wonder what was going to happen next. "I'd be lying if I didn't say there was an element of trepidation to it," says Newey. "We weren't sure if they [Renault] could fill to the end from that point or not, and they certainly showed a pretty big fuel range to be able to do that." "When we saw the safety car, there was a decision not to pit," says Whitmarsh. "But when your principal contender comes in, you think, 'is he right or are we right?' We knew that Williams were going to come back in. We thought that Alonso may well be able to last to the end without coming back in. That was our view. "Then we looked at what was going to happen. We believed that we really had the pace to get there and do the job, and that was without the tyre deterioration that Alonso suffered at the end of the race. When you see the car you're racing take advantage of the safety car you think you're right, but they've worked it another way, it makes you think. But as it turned out, we made the right choice." "Obviously there was a degree of doubt," admits Dennis. "But the fact is that if you've got heavily degradated tyres and a full fuel load [like the Renaults], around Monaco that's going to give you a hard time. You've got to believe in the data, and this is one of those times when that belief was well founded. In fact, the call was perfect and the outcome of the race demonstrated how well our strategists reacted." Newey agrees that Raikkonen himself must have been a little concerned: "I expect he was! We're all human, and we all have doubts. A situation like that is never clear-cut, but Kimi did his job. He got his head down and pulled out the lead he needed. We told him what he needed to do, basically what gap he needed to pull out before his pitstop..."
Monaco has a very fast pitlane, and allowing for the time he'd need to spend stationary while being filled, McLaren calculated that Raikkonen needed to build up a lead of 20 seconds. Only the team knew that when the safety car finally pulled off he had just 13 green laps to do it, which didn't seem like much. Alonso may have been very visible in Raikkonen's mirrors as they toured round, but the three cars in between them were a priceless cushion. Even as the safety car came in Raikkonen had already got a useful gap of 3.2s, and at the end of the first flying lap he had more than doubled it. In fact, after three flying laps he had already opened nearly half of the gap that he needed, despite struggling with tyres that had lost pressure. But others were far worse off. Raikkonen had done more than enough to ensure victory. After the stop he pushed the lead back up to more than 30 seconds, and only when Nick Heidfeld finally muscled his way past the Renault did the gap to second come down. "We were pretty comfortable after two or three laps of the safety car being in," says Dennis. "Because effectively the predicted pace we had was there. We knew how far we had to go to our pitstop, and we had more than enough pace to pull out the lead that we felt we needed to have to be comfortable. We needed 20 seconds, and at 30 seconds we just backed off. We could have had a lead of 35-40 seconds. It was not only the right amount of time, it also had a fudge factor in it." So what would have happened if Raikkonen had stopped during the safety car period? Presumably, it was just a little too early for him to have filled up and gone to the end. If so, like the Williams pair, he would have had to make two stops (although it's worth noting that Williams planned to do that anyway to protect the tyres). Consider that from his stop Alonso had to run 53 laps to the flag, three of which were under safety car conditions. How far can a McLaren run on a full tank? Well, Raikkonen's teammate Juan Pablo Montoya skipped second qualifying, but allowing for the lap to the grid and the formation lap (which teams count as one), he only made 47 laps, and that too including the safety car period. If Montoya started with a full tank, the logical strategy for his lowly grid position, then clearly Raikkonen couldn't have made it to the end of the race and would have had to be put on a two-stopper. He would still have won, but it would probably have been riskier. Of course Kimi was flattered by the situation that Renault were in. The extra fuel weight over those 13 laps played a part, but more important was the tyre situation. Quite how that came about is another story entirely, but it's worth hearing the McLaren perspective. "It's similar to Barcelona, in that Renault were hanging on to our tails until they got into rear tyre problems," says Newey. 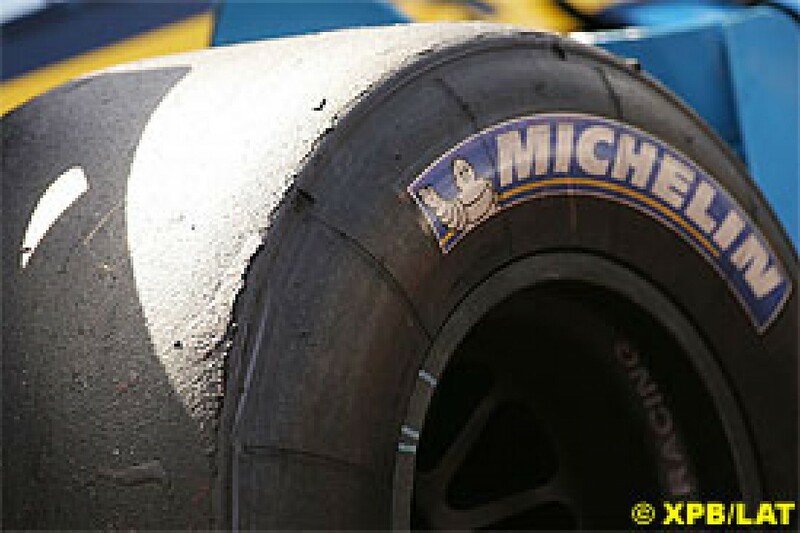 "In Barcelona they got into rear blistering problems, here they got into rear wear problems. That's what made our performance look so much more dominant. I think the Renault is still a quick car, but in both races they got into tyre problems, and as soon as that happens, you get a very distorted result. "I think they must have lost tyre temperature behind the safety car, and they didn't build it back up again, because neither of their cars were quick after the safety car pulled in. It's not just about traction control; it's a whole number of features. Certainly how the traction control works is one of them. If you noticed towards the end of the race their rain light was flashing, which I imagine means that they gone to that traction control map - they were so desperate they had to go to a wet map." Whitmarsh implies that even before the safety car situation, McLaren knew that Renault had a tyre issue. The gap had grown but had stabilised at around 5-6 seconds for several laps, so that wasn't a big clue, so one might speculate that Renault's radio traffic gave the game away. "The disadvantage of what happened to them is that they obviously made matters worse for their tyres," says Whitmarsh. "Because they chucked all the fuel on board and loaded it up. The problem was already known, but it's reasonably simple physics. If you've got a heavily loaded car, and you generate higher loads, you're going to create higher wear." Tyres and chassis development will be key to what happens in the coming months, but the simple fact is that Raikkonen is doing a flawless job at the moment. "At the end of the day, you've got to say that Kimi, for three weekends, has just been blindingly perfect," says Whitmarsh. "It's surreal, how good and strong he has been. He's been quick at Imola bumping over chicanes, a highly technical circuit like Barcelona, and then Monaco. "Inevitably, coming into Spain we thought, right, we've really got a car that's working well at these technical tracks, can't wait for some more. Oh bugger, we're going to Monaco. And then you get there and he's blinding again all weekend. "I'd like to think that in one or two races people will be complaining that it's boring because Kimi Raikkonen wins every single race! It isn't going to be that easy. I'd be delighted if that's the case, but I'm not banking on that. I think we've got a fight on our hands, and I think Renault now know they've got a fight on their hands."